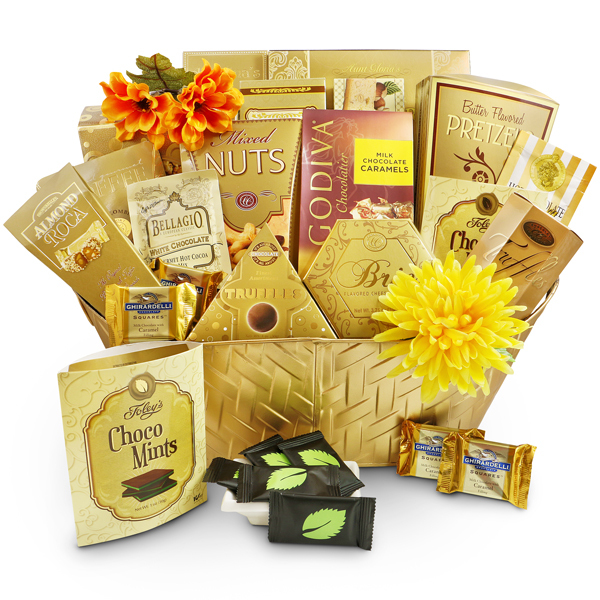 Set a happy tone with gourmet chocolates and savory treats presented in a golden gift basket. 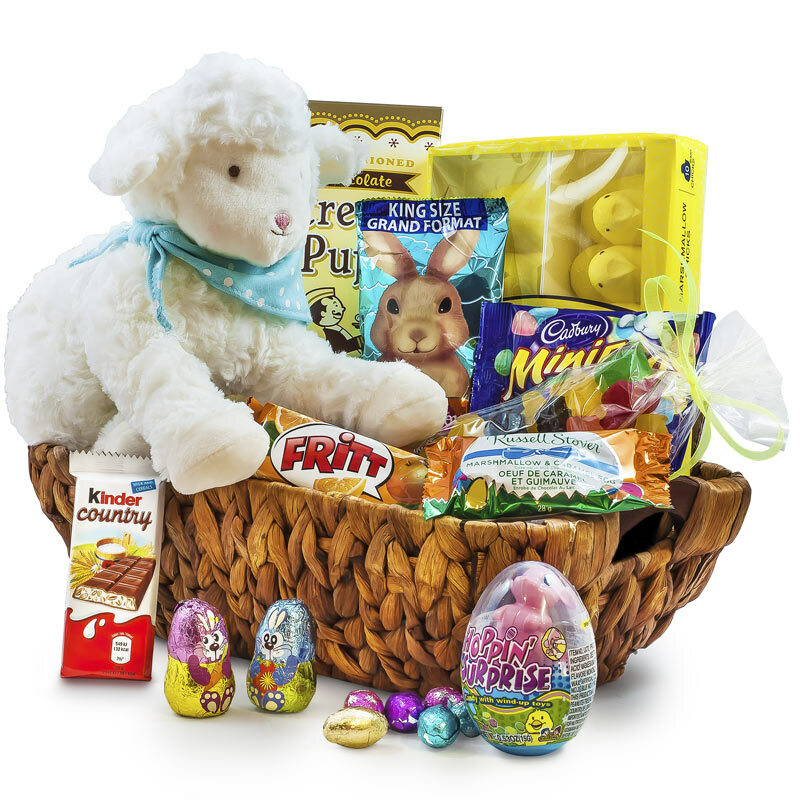 They will feel like a celebrity when they receive this huge gift basket from you. 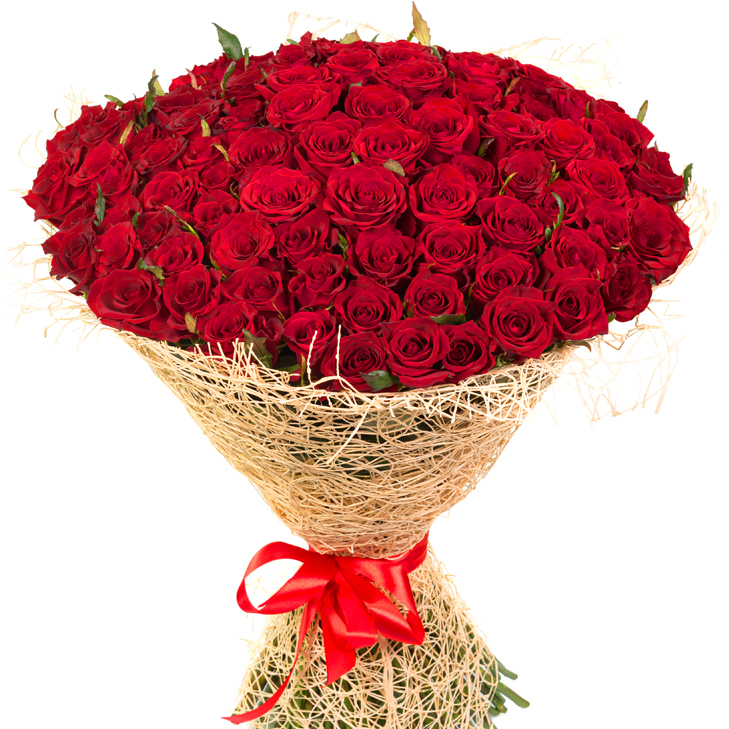 Your gift will be festively decorated and your special message will arrive on a stunning full size card. 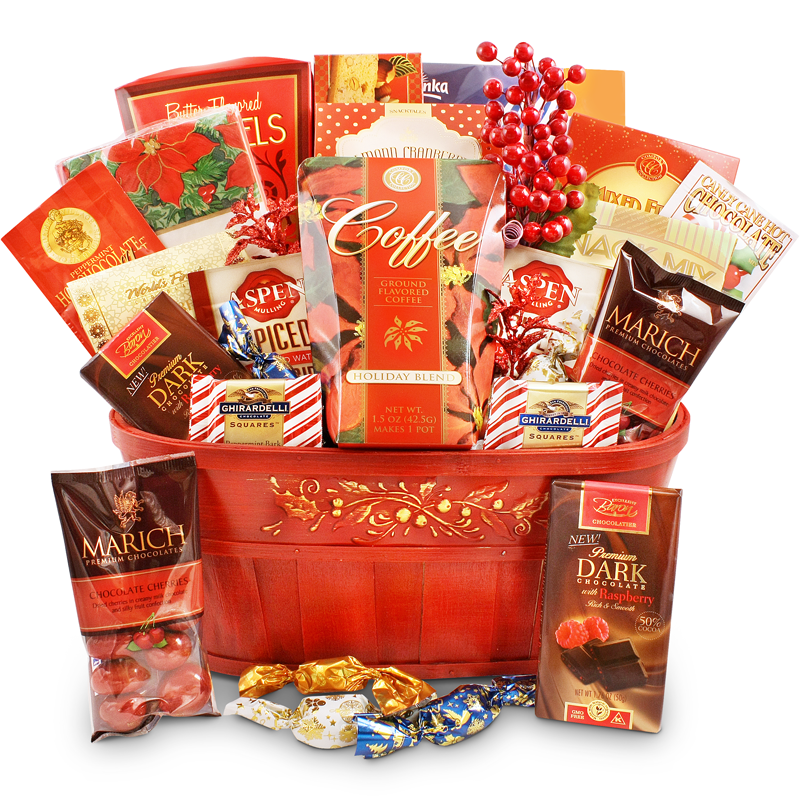 We proudly ship our chocolate gift baskets anywhere in Canada and the United States. 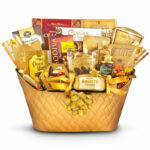 Send this array of sunshine gift basket filled with all your favourite gourmet treats and snacks. Try one of the world’s most popular cheeses of Brie and pair it with your fruity dry rosé, or creamy subtly oaked Chardonnay. For the chocolate lovers we have added the very popular yet ‘oh so tasty’ Godiva milk chocolate caramels. With it’s premium quality of chocolates, who wouldn’t want to sample it. Within all the goodies are cookies (Truffle cookies, Angelina sweet butter cookies), hot chocolates ( caramel hot chocolate, double chocolate, or french vanilla hot chocolate), truffles (fine assorted truffles, Belgian truffles) and more. 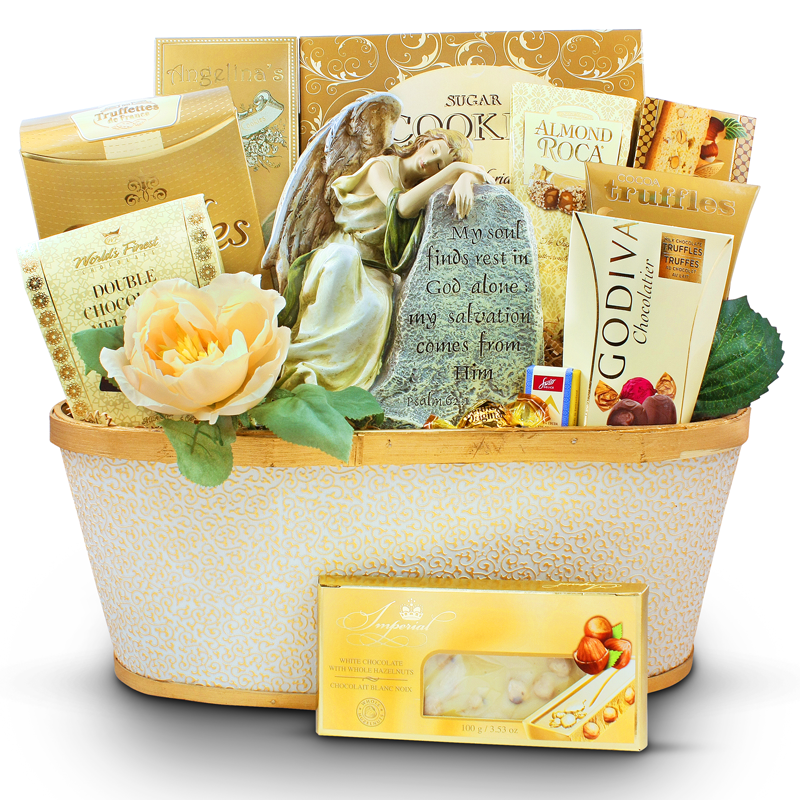 A truly golden basket with all of the gold goodness for you to send clients this Christmas, Happy New Years, or appreciative Thank you gift basket.